Sorry, no matches on eBay for "Did Anyone Ever Tell You Mrs. Murphy? 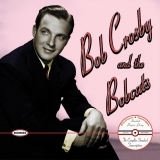 Bob Crosby & The Bob Cats". Your feedback for Did Anyone Ever Tell You Mrs. Murphy?